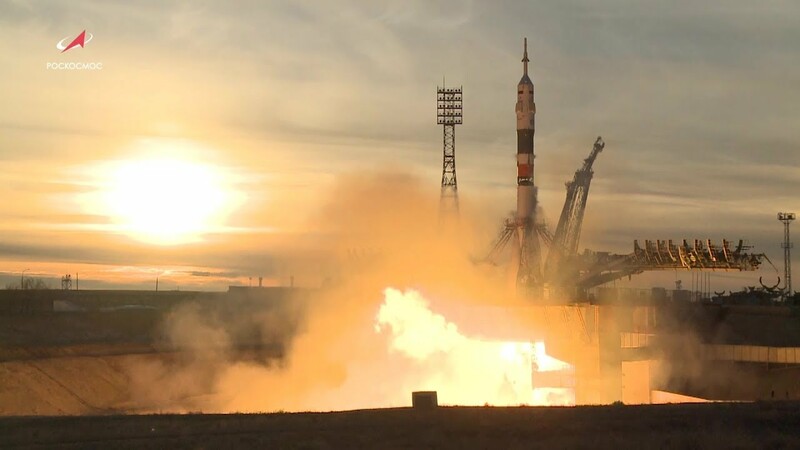 NASA astronaut Nick Hague and Roscosmos' Alexei Ovchinin lifted off as scheduled at 2:40 p.m. (0840 GMT; 4:40 a.m. EDT) Thursday from the Russia-leased Baikonur cosmodrome in Kazakhstan atop a Soyuz booster rocket. They were to dock at the orbiting outpost six hours later, but the booster suffered a failure minutes after the launch. It's a developing situation. Some news outlets have stated that they have already landed and rescue crews are on their way. Less than two months after the in-flight abort of MS-10. 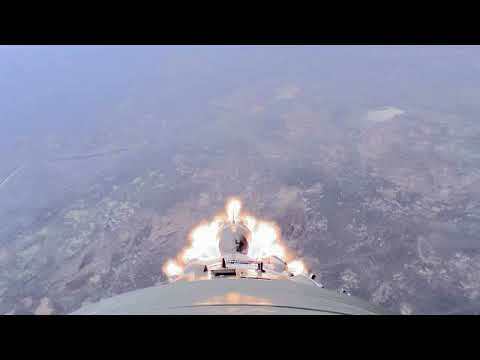 Roscosmos has definitely upped the production value recently. PS: Hmmmmm.....this raises an interesting question...... why are fighter planes that have pilot seats in the prone position not a common sight? Since we are now at a point where a tank crew can be placed inside the hull and rely solely on sensors for situational awareness, it seems that the same approach could be utilized for combat pilots. Last edited by ak16; 04-12-2018, 06:19 AM. Those Soyouz rockets are reliable...perhaps only workmanship needs a kick in the a$$ in Baikonour. The Russians have years of experience in perfecting these ships. Can´t wait to see the new Orion go up: ...and maybe a new trip to the moon in my lifetime. That would be something. I have to say I was nervous while watching the MS-10 taking off. "Please don't blow up, please don't blow up, please don't blow up"
Last edited by moosefoot; 03-12-2018, 11:07 PM. Prior to the December launch, another three Soyuz rockets will fly, including a Progress cargo ship launch to the ISS on November 16th and an European Space Agency launch from French Guyana on November 7th (Soyuz-2 with ESA's MetOp-C satellite). Well, now all three have gone up and it's all worked out just fine. So, Soyuz MS-11 with a three-man crew (well, two men, one woman) is all set for December 3rd. I like it! At first I was sure they'd be stuck until next year after the MS-10 abort, but nope. Awesome footage. And the clarity and quality of it make it even more so. It is also "amazing", so to speak, that a mere deformed captor can cause such a catastrophe. At these speeds and at such power there is no margin for anything. A rocket is at Mach 1 in less than a minute. The explosion in the Apollo 13 service module was caused by a spark igniting oxygen in a a tank that lost its air tightness simply by being dropped once before being installed. It´s that sensitive for everyone when you´re at the maximum of what the elements can do. From what I read, a captor was deformed during assembly and led to the booster seperation problem. So a Baikonour final assembly problem, not a manufacturing one. Nowadays they have external cameras on the Soyuz, and while it is not likely that anything will be released publicly anytime soon I do hope to see it at some stage. Came way sooner than I thought, and indeed the footage seems to confirm what everyone's been saying since the beginning. One of the boosters failed to separate at the top and it pushed on the core stage, causing the rocket to veer violently off course, which triggered the emergency escape system. Anyway, props to Roscosmos for being a bit more transparent than they usually are, that's cool. They typically keep all these materials to themselves, only issuing some kind of power point slide with illustrations, at best. Thanks , Merk666, of posting that awesome video! it sure does appear that the remaining booster stack got bumped out of the intended trajectory, but maybe that was just the section that had tha aft-viewing camera on it? At 1mn25, it seems to me you can see the booster on the left still attached to to second stage by its upper tip. Amazing video, thanks Merk666. It´s amazing the altitude gain in so little time, these are monster rides, defintely not for everyone. 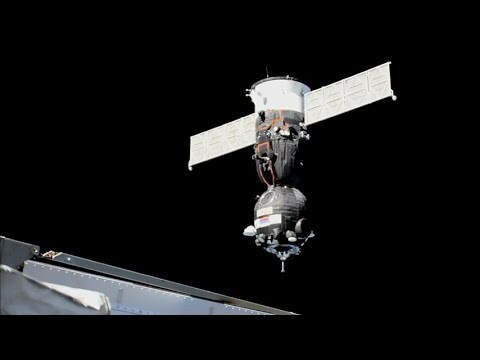 They said today that they will proceed with Soyuz MS-11 on December 3rd. Investigation is done and the issue has been rectified. ^ They're not done yet, officially at least, but this morning they launched a Soyuz 2.1b successfully. That rocket is sliiiiightly different from the "man-rated" Soyuz FG but AFAIK the first (boosters) and second (core) stages are essentially identical and it was there that the MS-10 cockup occurred. So, I take it they are feeling confident enough.